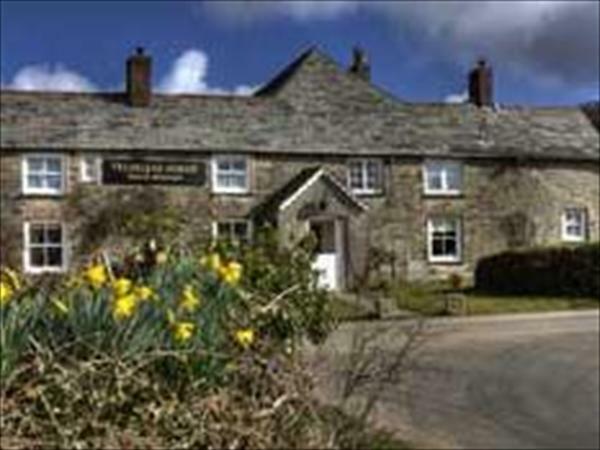 Trehellas House Hotel Bodmin, Cornwall is an 18th-century former posting inn, now a comfortable hotel in Bodmin that retains many original features and provides comfortable hotel accommodation on the edge of Bodmin, Cornwall, this is the highest AA rated hotel in Bodmin. The hotel's bedrooms are located in both the main hotel and adjacent coach house - all hotel rooms provide the same high standards. An interesting choice of cuisine, with an emphasis on locally sourced Cornish produce in the impressive hotel restaurant. Cheap off season hotel deals here in Bodmin.